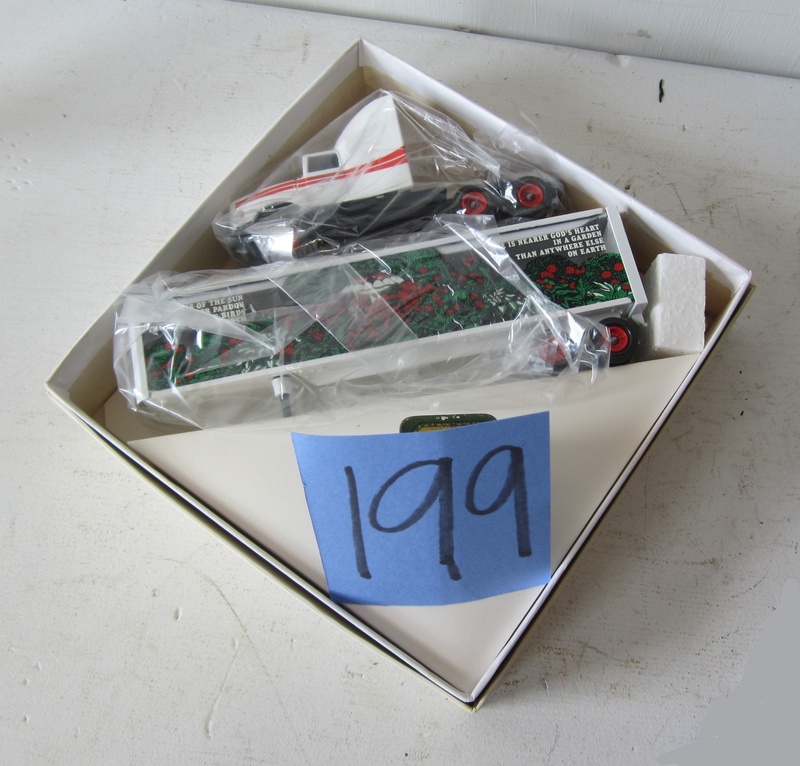 Sale to include toy tractors, pedal tractors, metal signs, Winross trucks, Hess trucks, John Deere operator manuals, tools, box lots, and more. A lot of John Deere collectible items to be sold. Toy tractors include SPECCAST, Precision Classics, Two-Cylinder Club, and more. Online bidding available. Box lots will start at 9:00AM and live/webcast bidding on cataloged items will start at 9:30AM. SCROLL BELOW PICTURES FOR CATALOG OF ITEMS AVAILABLE FOR ONLINE BIDDING. There will be some items available day of sale to live bidders only that won't be online. Download "SEPT 8TH FARM TOYS.pdf"